Automatic capsule filling machine for powders, pellets, tablets, mini-tablets, capsule in capsule or liquids. 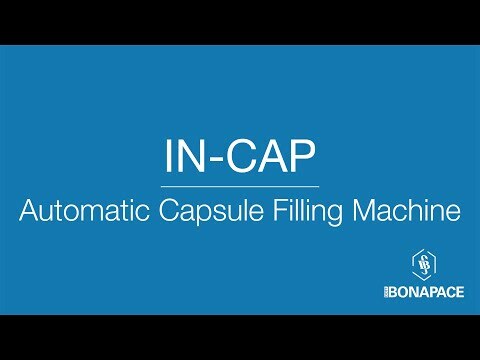 IN-CAP automatic bench top capsule filling machine by Dott.Bonapace is a bench top automatic capsule filler. It has become popular all over the world among R&D laboratories, pharmacies, hospitals, etc. For trials research, batch productions, and in laboratories for full production utilization. It is also available with predisposal of liquids or semi-dense products filling station, pellets, tablets and mini-tablets. The machine can be supplied either with tamping or dosator system. Machine manufactured according to CE and GMP rules.